Entertainment has been a big part of the 36 years of the Festival, and now is your chance to be a part of the historic Festival. 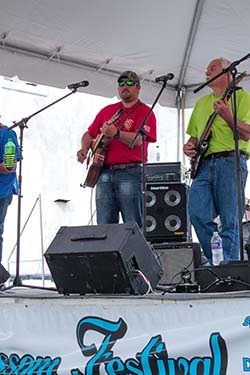 The Festival wants to feature talented people, local and not-so local, as part of the day-long entertainment in the 36th annual event, held in downtown Johnston on May 4, 2019. Entertainers who think they have what it takes to be a part of this year’s Festival should contact Gaye Holmes. Those interested in participating in the parade should contact Parade Chairman Roger Lamb, (803) 480-2690, 505 Roland Ave., Johnston, SC 29832. To learn more about the Festival or the Johnston Development Corporation, visit the website at https://johnstondevelopmentcorp.org/.